PARIS: Several countries have over the past few years taken draconian and controversial measures to shut out migrants. US President Donald Trump, who made curbing immigration a pillar of his election campaign, signed a decree shortly after taking office that launched the construction of a wall intended to keep out migrants and running 1,600 kilometres (994 miles) along the US-Mexico border. Trump wanted Mexico to pay for it, which they have so far refused to do. At the start of 2018 Trump asked Congress for $25 billion to secure the whole border. He has so far only received $1.6 billion for walls of a dozen metres in the two most densely populated areas. In May he again sparked controversy by separating more than 2,300 children from their parents as part of a "zero tolerance" policy on illegal immigration. He eventually backtracked. 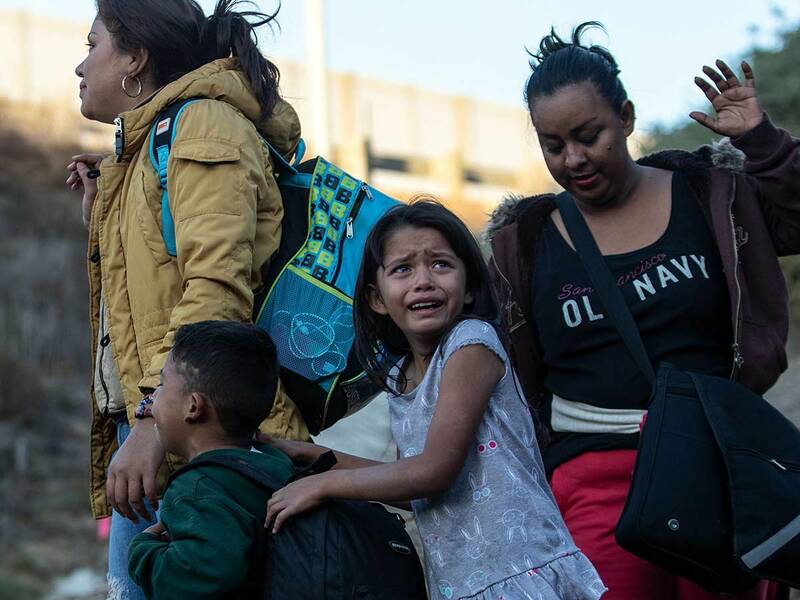 Ahead of midterm elections in November and as thousands of migrants fleeing violence and misery in Central America headed for the US, Trump referred to the migrant caravan as an "invasion" and claimed, without evidence, that it included "thugs" and "unknown Middle Easterners". By the end of November, Trump had deployed thousands of military personnel to the US-Mexico border and threatened to close it completely. Italy is the main entryway for migrants crossing the Mediterranean, putting it under pressure from European Union rules that a migrant can only make an asylum claim in the first country they reach. In an anti-migrant backlash, a populist coalition government made up of the far-right League and anti-establishment Five Star Movement took power in April 2018. Its interior minister Matteo Salvini, from the anti-immigrant League, has banned charity rescue boats from docking in Italy, accusing them of aiding human traffickers to bring migrants to Europe. In November Italy adopted a tough anti-migrant and security decree which makes it easier to expel migrants and limits residency permits. This year some 22,500 migrants landed on Italy's coasts, representing a drop of more than 80 percent compared to 2017. In 2015 Hungary's Prime Minister Viktor Orban, claiming migration threatens the "dissolution" of Hungarian and European identity, put up a barbed-wire fence running hundreds of kilometres along the Serbian and Croatian borders to stop the arrival of refugees fleeing wars in the Middle East. Hungary has also adopted one of the most restrictive migrant legislation in Europe. Orban has rejected EU plans to relocate migrants via mandatory quotas. In 2016 he tried to have the constitution changed by referendum to bar the country from taking in migrants, but was narrowly defeated. The European Commission has launched several procedures against Hungary over its failure to take in refugees, including for not respecting European law regarding asylum and for a measure making it possible to prosecute those who help migrants. In 2017 the number of migrants arriving in Australia on permanent visas plummeted to 162,000, its lowest in 10 years and reflecting the results of a hardline policy aimed at only accepting what it considers the best candidates for residency. Since 2013 Canberra has frequently turned away illegal boatloads of migrants from various places like Afghanistan, Sri Lanka and the Middle East. Boats that do manage to get through are sent to the off-shore islands of Nauru or Manus in Papua New Guinea. Canberra claims it is saving lives by putting migrants off attempting the perilous journey. Once a near-daily occurence, the arrival of migrant boats has radically dropped off. However conditions in its off-shore migrant detention camps - where people are sometimes held for years - have been widely criticised as extremely harsh.